Unsure whether you want to mediate a case and settle out of court or pursue a litigative path? Set up an appointment for a free consultation today! We’ll help you tailor a strategy that is unique to your particular situation. We specialize in family law, estate planning, civil litigation and its related practice areas, such as contract preparation and review. Joel E. Greenberg utilizes his acute knowledge of Florida law to devise winning strategies that lead to favorable outcomes for everybody involved. Family Law: Divorce, Child Support, Timesharing/Child Custody, Equitable Distribution of Your Assets and Liabilities, Alimony, Modification of Timesharing/Child Support/Alimony, Paternity, Step-Parent Adoptions and Re-locations. Breach of Contract/Contract Creation: Shareholder Agreements & Operating Agreements, Non-Competes, Monies Owed. Estate Planning: Wills, Revocable Living Trusts, Power of Attorneys & Healthcare Surrogates. The Law Offices Of Joel E. Greenberg, Esq. 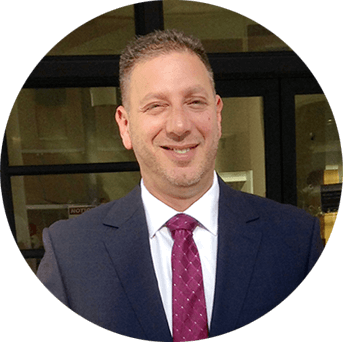 Joel E. Greenberg has over 25 years of experience running his own law practice. Over the past two-plus decades, he has cemented his reputation as one of South Florida’s go-to attorneys for family law, estate planning, civil litigation and more. Whether you are pursuing mediation or looking to litigate a lawsuit all the way to a conclusion, Joel will work with you to figure out a solution that meets (and hopefully exceeds) your expectations. We’re prepared to handle the complex aspects of your legal issues methodically to obtain the most favorable trial outcome. Call the law offices of Joel E. Greenberg, P.A., today for the top-tier legal services you deserve!